I’m looking forward to speaking next month in London during B2B Marketing’s B2B Summit. My presentation will focus around visual social marketing which I feel is the next generation of social media. I spoke with the editorial team who published the below article on their website here. I just started a new role as director of social media at the CFA Institute. I oversee efforts to reach journalists, legislators, policymakers, and investment professionals who play essential roles in shaping the direction of the financial services industry. I oversee the global social media campaigns and lead a global team. Q: How and when did you get into social media marketing? I signed up to Twitter about six years ago, and loved the real-time element and engagement. I worked at BizBash Media in New York and started to see how social media fit into live events and how excited delegates would get to see a live Twitter feed onsite at an event. It merged online and offline communications and to this day I still get excited when I talk about social media marketing; it’s a real passion for me. Q: Social media is known as one of the most difficult channels to prove ROI from. Is it possible? How do you do it? Showing ROI from social media is a challenge every marketer is facing. We’re working a lot with our analytics and web team to add on as much tagging as possible to track our traffic and paid conversions. We are also testing discount codes in FY16 to track event delegates from our social media activities. It is possible, but it’s difficult and takes time. Social media is still in its infancy so we have to remember to be patient while companies are working on solutions to make it easier. In the past I’ve worked to develop custom social media packages such as sponsored tweets and social media lounges, which show direct ROI from our efforts. Q: Your session at the B2B Summit is on visual social media. Are B2B brands missing a trick by not using it? The human brain processes images 60,000 times faster than text and 90 per cent of the information transited to the brain is visual. Visual platforms allow real-time marketing to give brands an advantage for a behind the scenes look to drive more personal connections. Companies should be tapping into visual social media to show their audience how awesome the brand is and to provide the visual stories the customers/delegates want to see and hear. It’s important to keep an open mind and formulate a social media plan with realistic expectations and don’t be afraid to test new things, and push the limit. We can’t measure success without having failures as part of our journey. Q: What’s the most common barrier to B2B brands succeeding on social? The most common barrier is fear and not knowing where to start. I try to break down barriers and enable employees to feel empowered by setting up social media training sessions for our staff and walking them through the basics. I find the biggest challenge most individuals face is not knowing how to get started with social media. It’s quite simple, it takes time, but once brands set a social media strategy and get going often they’re hooked with the real-time engagement. I would recommend providing training to staff, and keeping everyone in the loop with social media trends and advances. In an age where we are readily able to access our work 24/7 many people are putting in extra hours, and using their smartphones to continue to be “on-call” outside of traditional work hours. I’m guilty as charged and often reach for my phone and answer work emails early in the morning and late at night before getting out of bed. 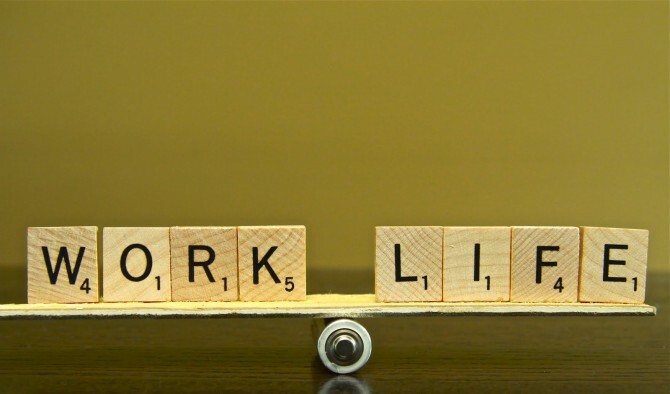 I’ve found a few ways to maintain a healthy work-life balance. Because we are so plugged in and connected it can be a challenge to step away and leave work behind. When I take my vacation days I now unplug and turn off my alerts completely. I leave my team my personal email and cell phone, and they’ll find me if it’s urgent, but by unplugging and not reading emails & listening to voicemails has helped me to enjoy my paid time off. As long as your clients and vendors are informed of your plans in advance (i.e. through previous correspondence, voicemail or out-of-office messaging) they typically respect your privacy and need to disconnect. While we are on the topic of taking time off and unplugging, it’s important to schedule vacations and personal days to step away from work and relax. Vacations allow us to re-energize and return to our job well rested, and too often we don’t use our time off! Americans throw away $52.4 billion every year because we won’t take time off from work. (Source: Oxford Economics) Click to Tweet. Overall, Americans are taking less vacation than they did a decade ago. In 2013, the average worker took 16 vacation days, down from 20.9 in 2000, according to an analysis by the U.S. Travel Association’s Project: Time Off, an initiative to encourage more workplace vacation. It’s important to schedule time off, and use your vacation time. I’ll admit sometimes I take a “mental health” day and do nothing but lay in bed and relax, and for me, it makes such a difference. However you use your time off is your decision, a lot of people prefer “staycations” but whatever you do, use your time off, don’t throw away hard earned time off, use it and enjoy! Having an open line of communication with family, friends, and coworkers can help play a part with your overall happiness and balance. I always let my husband know key events and projects i’m working on so he understands when I’m going to be busy at my office. We’ve synched up our google calendars, and anything important and dates I need to be in early or stay late goes into the calendar. Since we’ve had the baby our time management skills have become thoroughly more efficient as we’ve had to make our days more productive to get home and pick our son up at daycare. We both typically bring home work, but after a certain time try to cut it off and be together as a family and enjoy dinner and a little downtime. When we have big events at work I try to communicate to my co-workers to ensure all hands are on deck to help ease the workload and understand when longer hours are going to be expected. Ive found that many times issues arise in my work-life balance when I’m not properly communicating. Finding the methods and communication tactics that work best for you will help increase your productivity and overall well-being. I hope these three tips have helped, what rules do you use to maintain a healthy work-life balance? Leave a comment below or send me a tweet @MarissaPick. This is one of those quotes turned my mood and day around and make me stop and think, and of course…share! We are all very blessed to have all that we do, and of course there will always be someone out there with more than we have, however there is always someone out there who has less than we do. 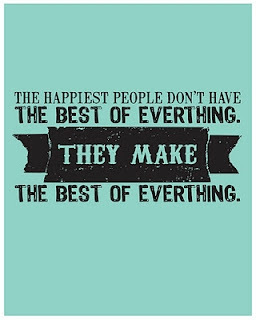 This quote reminds me to take a moment and remember to be thankful for all that we do have, and make the best of every moment of every day. Life is short, so we should all take a moment and enjoy every minute of it!